Numero Uno Web Solutions (www.NumeroUnoWeb.com), a fast-growing Internet marketing firm that caters to a variety of medium- and large-sized business-to-business and business-to-consumer companies, is weighing in on a recent report showing online retailing in Canada will reach $39.9 billion over the next five years. The company also discusses what Canadian brands need to do to stay relevant in a competitive, ever-evolving retail landscape. “To remain competitive and stay relevant, Canadian retailers need to prioritize their online investment. That includes developing an online marketing campaign that keeps up to customers’ ever-changing preferences and behaviours,” says Ara Libarian, General Manager of Sales at Numero Uno Web Solutions. Numero Uno Web Solutions, is one of the top Internet marketing firms due to its dedication to innovation and overall customer satisfaction. 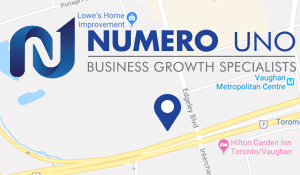 For more information on Numero Uno Web Solutions and how the company helps B2B and B2C companies maximize their search engine optimization and online presence, visit https://www.numerounoweb.com.